Let us understand one of our most interesting feature Ready Investor Group and how it can be useful for the users to track the portfolios of well-known investors both individual and institutional. 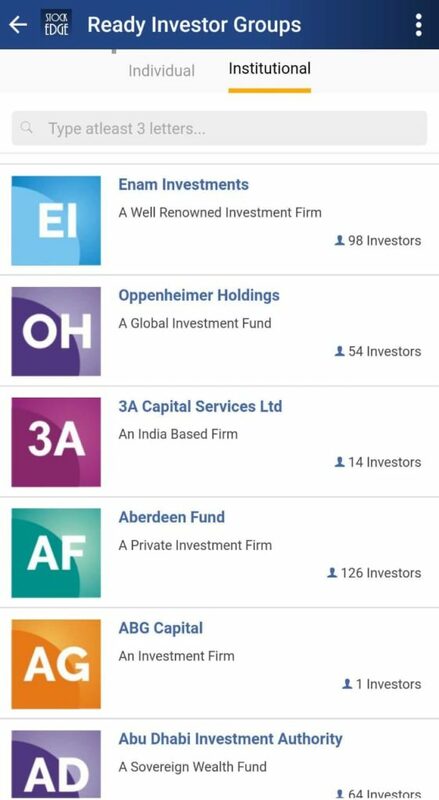 The portfolios of ace investors like Rakesh Jhunjhunwala, RK Damani, Ramesh Damani, Porinju etc and also the portfolios of institutions and large fund houses like Acacia, Amansa Capital, Aberdeen Funds can also be viewed very conveniently in just a few clicks. The investors are invested in the stock markets by just not their name but also by the names of their family members, different companies etc. 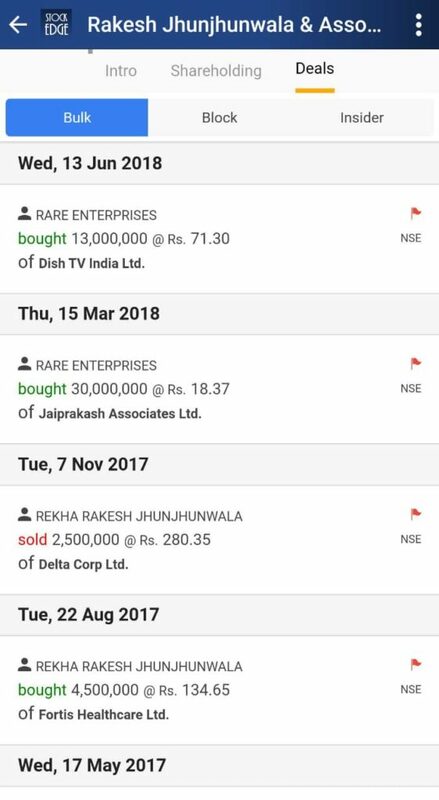 In this section, we have tried to bridge this anomaly of spelling errors in the names of the investors, their family holdings, their companies etc and present to our users near perfect holdings in the stock. For instance, let us take the example of The Big Bull aka Rakesh Jhunjhunwala, Mr. Jhunjhunwala is a well-known investor for all of us. 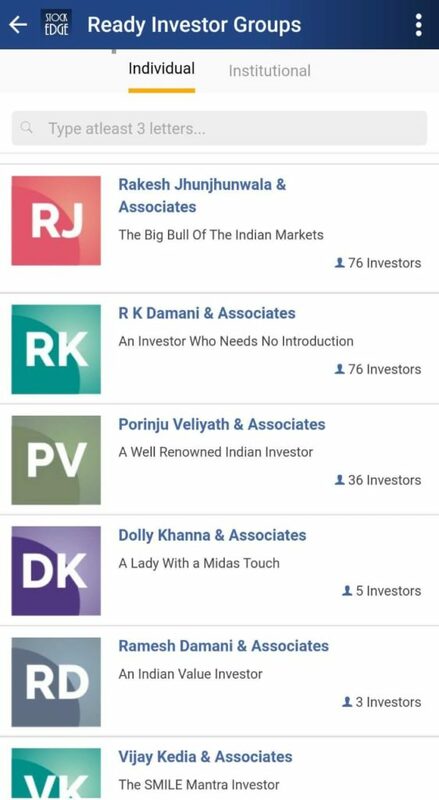 When we view the Ready Investor Group, we can see the holdings of this investor in a single click. 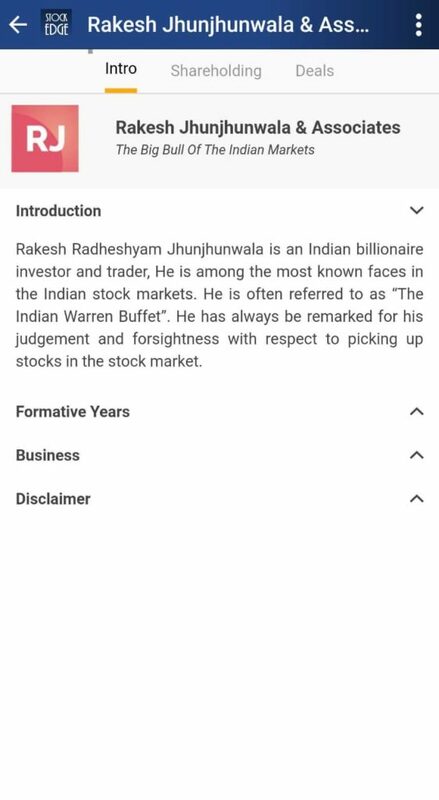 We provide a brief introduction of the investor, the latest holding of the investor, deals ( bulk, block, and insider deals) all related to Rakesh Jhunjhunwala under one screen. The most unique feature of this is that it captures the spelling errors in the names of the investor and possible names by which the investor can be invested. 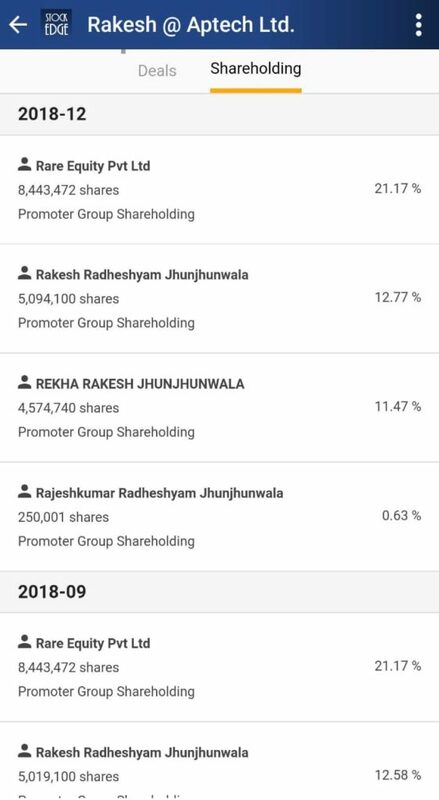 Like, Mr. Jhunjhunwala has been investing in the stock market by his own name Rakesh Radheshyam Jhunjhunwala, his wife Rekha Jhunjhunwala, his brother Rajesh Jhunjhunwala, his company Rare Equity. 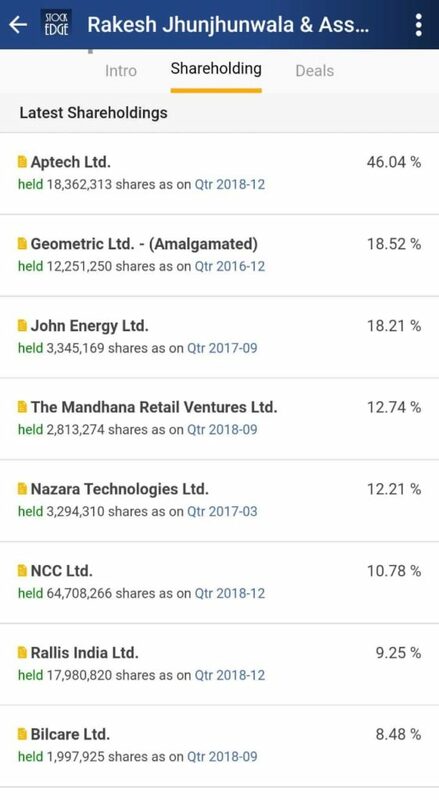 In this way, we provide a better picture of the total holdings in the stock. Moreover we can aptly track the increasing and decreasing holdings in the stock by clicking on the stocks name and view the quarter-wise holdings of the investor. This is an edge which can be gained by the users by using our Ready Investor Group feature. In this we are working hard to include as many as possible ace investors and institutions which can give our users a very efficient way of tracking the big names in the market and have a clearer picture of their investments.